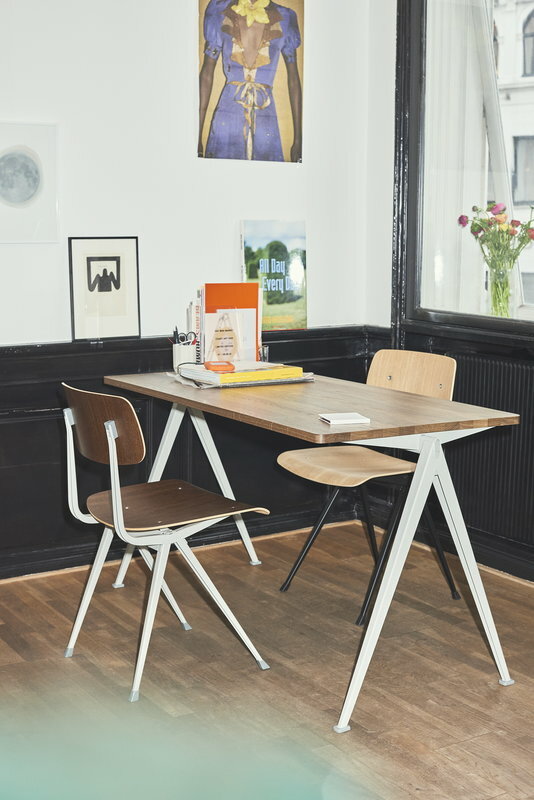 Hay's Pyramid table 01, created by Friso Kramer and Wim Rietveld for Ahrend in the 1950s, has been relaunched by Hay in collaboration with Ahrend. 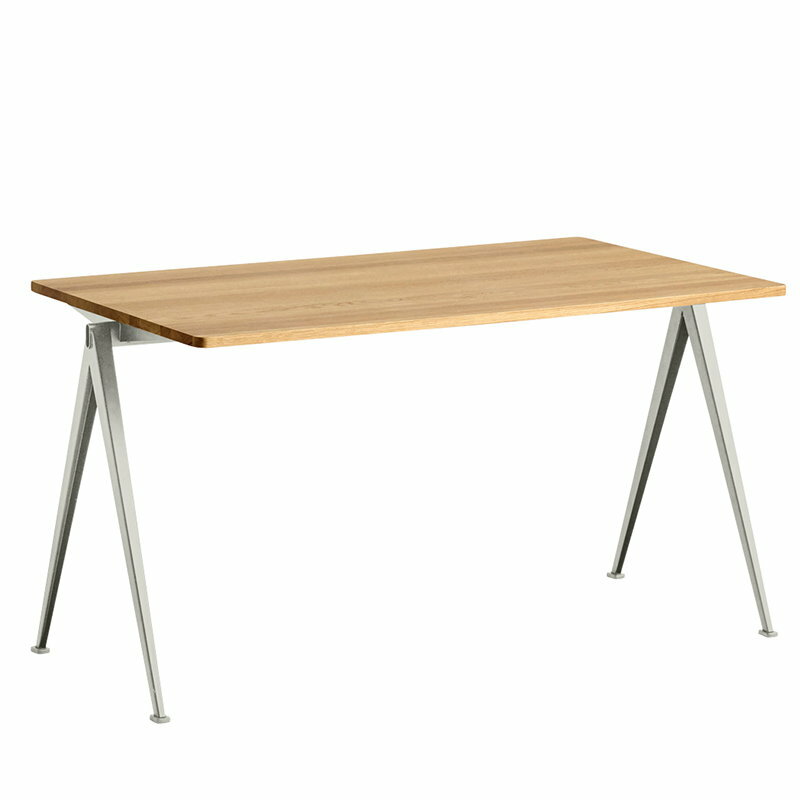 A simplistic combination of a triangular steel frame and a sturdy, rectangular oak top, Pyramid was regarded in the 50s as a masterpiece in the innovative use of sheet steel, and it has maintained its fresh appearance until today. During the past decades, Pyramid has been widely used in both public and private contexts. 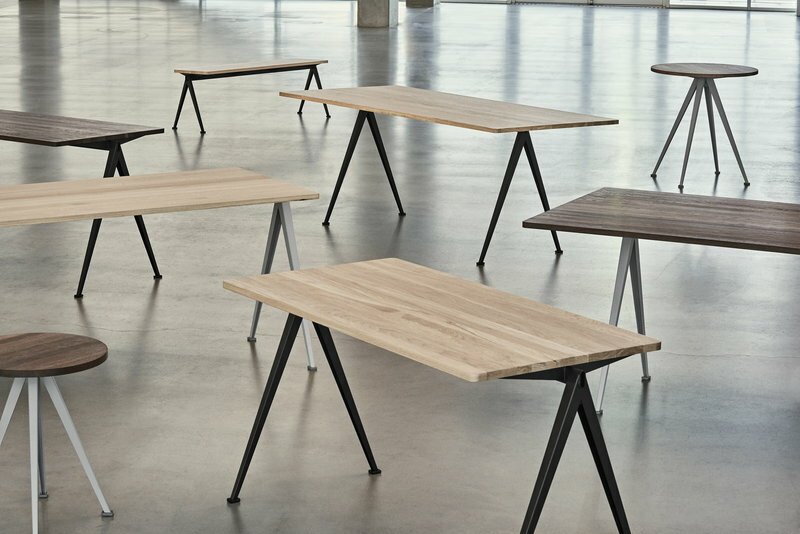 Framer and Rietveld designed the Pyramid table together with a similar bench and a chair named Result, and it pairs together beautifully with both. 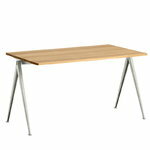 Pyramid is available in several different combinations of base colours and wood finishes.